5.11 Was one of the first companies that drew me into the bag world some 4 years ago. I believe the Rush series to be the first rung in the ladder of expensive, overbuilt, packs for many. The Low Vis line from 5.11 is much different than the pack I had a few years ago and I love it. The LV18 is the backpack 5.11 has been needing to make to keep up the grey-man concept so many search for. The bag comes in at $140 which is not cheap, especially in the 5.11 world however, I believe it to be great value. The LV18 is made from 840D Nylon and sealed with all YKK zippers. The interior is lined with a high-vis grey nylon to help with visibility. Every pocket on the bag seems to be thoroughly thought out and I never find myself searching for a new place for items. Everything I carry on a day-to-day basis has a home. On the front of the bag sits the admin/molle pocket. I use the webbing to have anything I can that I may need quick access to, while behind sits all of my pens, pencils and other small items. The second of the 3 main compartments is sectioned off great for medium sized items that can’t fit in the admin pocket but you don’t want sitting in the main pocket. Here is where all of my chargers, pouches, etc sit. It runs the length of the pack so you can fit taller items as well. 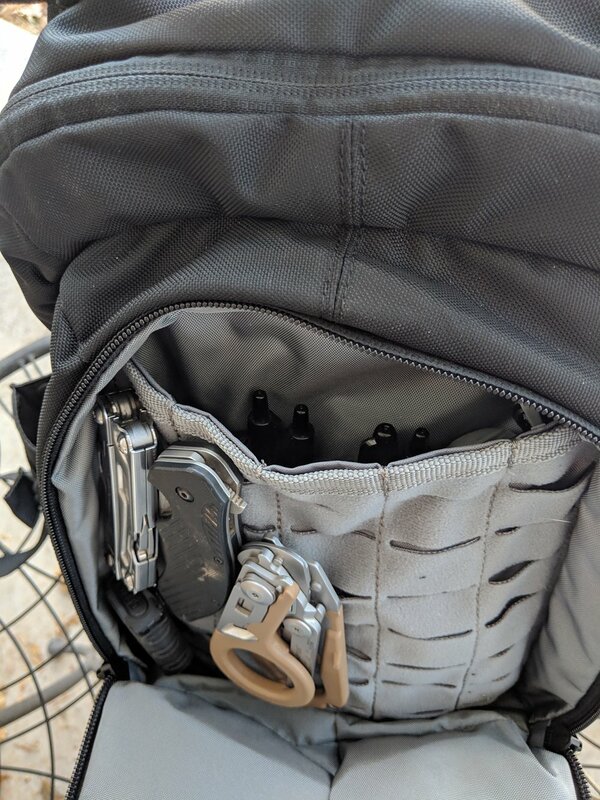 I also carry my wallet, keys and Airpods in the top lined pocket. On either side of the bag you can access your CCW pocket. I carry my flashlight, gloves, and Glock 19 in here with the built in Velcro straps. This compartment almost makes the LV18 in my eyes. Most CCW pockets are very hard to access and only allow enough room for one weapon and nothing else. The LV also has dual full size water bottle pockets. 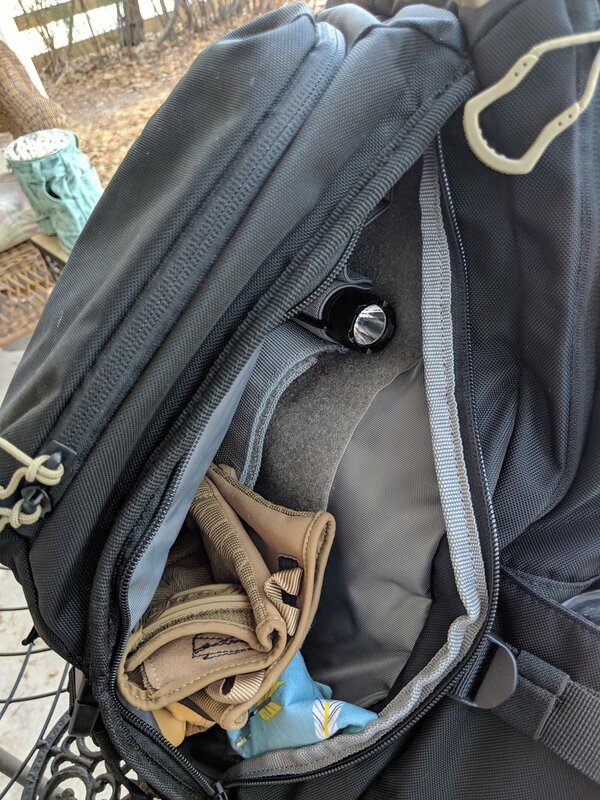 The pockets are used everyday to carry my bottles and also give an extra pocket if needed. These pockets were large enough to hold my 40oz Hydroflask. The main compartment is plenty big to hold some books, a computer, and an over layer if needed. 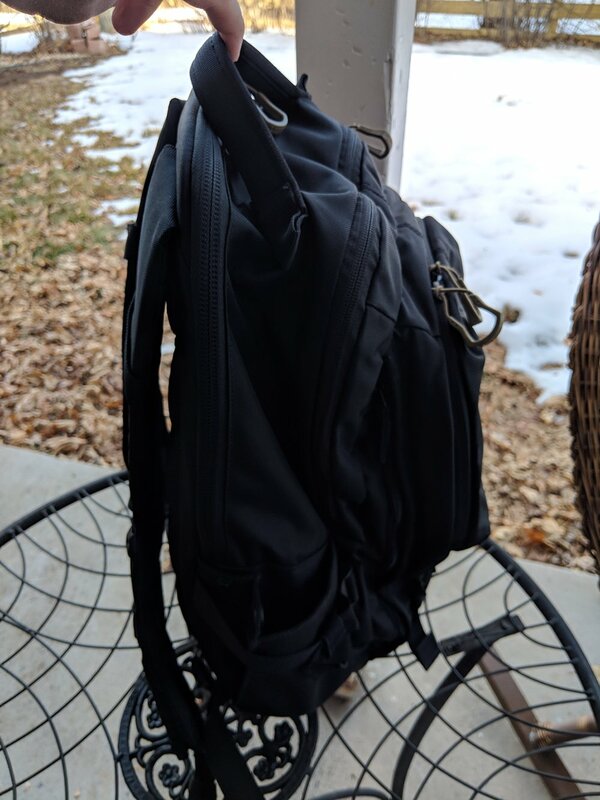 The padded laptop sleeve is suspended to make sure when setting the pack down your computer will not hit the ground. The sleeve will hold up to a 15inch laptop easily. Lastly, the back panel on the LV18 is much different than other 5.11 bags. They have finally added some mesh and some no nonsense shoulder straps that offer enough padding for all day comfort without being overkill. The LV comes included with a sternum strap and is easily adjustable. The straps and back panel on the LV combined is one of my favorite combos I’ve used to date.